About Spoon-billed Sandpiper NGO© is an organization which protects Spoon-billed Sandpiper and other waterbirds on the Yellow Sea mudflats, the most crucial staging sites for migratory shorebirds along the East Asian-Australasian Flyway. 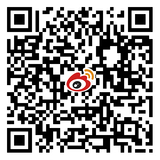 Established in 2008, the SBSC focuses on biodiversity conservation on the Jiangsu coast. We have been conducting regular waterbird surveys for 74 months (by 2016) , promoting a series of birding and nature observation activities, introducing people to experience the unique marine culture and improving the conservation awareness in local communities, including schools, fishermen unions and companies. 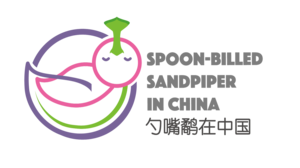 The key team members of the SBSC are based in Shanghai, and supporting team in Rudong county, Lianyungang city and Nanjing city. We have volunteers from within and outside of China for peak time work, including field, community and some laboratory work. The SBSC is an affiliation team of CCWCT for the monthly waterbird survey on Jiangsu coast, covering 6 key mudflats in three cities. Of the 32 sites surveyed, 26 supported at least one species that met the 1 % criterion for recognition as a site of international importance. Among the 26 sites identified as being of international importance 13 are currently under some form of protection, of which 8 are National Nature Reserves, 4 are Provincial Nature Reserves, and 1 Wetland Park. The other 13 sites currently have no legal protection. Four of the sites are currently designated by the Chinese government as Ramsar sites. 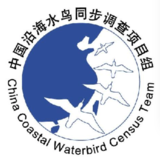 The China Coastal Waterbird Census is the most successful and typical case of citizen science in China, all the surveys over the past twelve years were conducted by volunteer birdwatchers in their spare time.